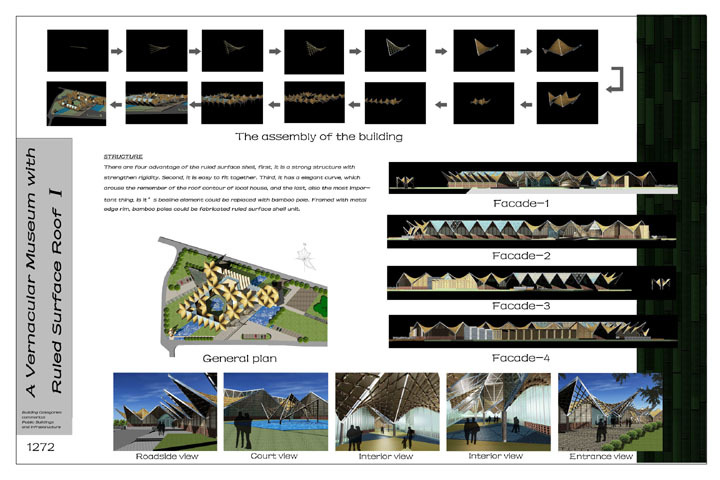 This museum is meant to be located in Fuzhou, in the southeast region of China, which is rich in bamboo resources. 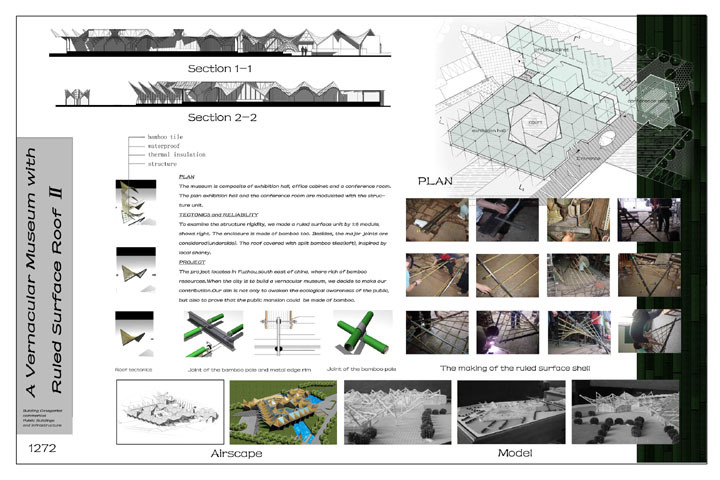 The idea is to create a large exhibition space using local vernacular architecture and a ruled surface roof. The ruled surface roof style is a strong structure that is easily built and has an elegant curve reminiscent of local Chinese architecture.